Organic. Unpasteurised. Naturally fermented. Light soybean paste. Great taste 2017. Ideal for soups & dressings. Suitable for vegans. 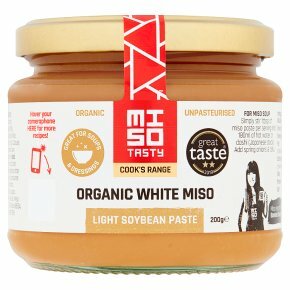 Our White Miso Paste has a light savoury flavour and a sweet aftertaste. Made by fermenting rice & soybeans.